Since the extensive floods of 1966, inhabitants of Venices laguna areas have come to share in, and reflect upon, concerns over pressing environmental problems. 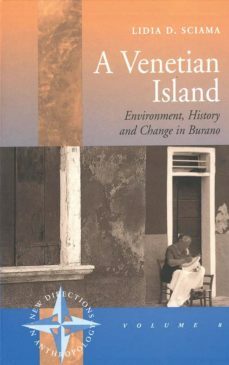 Evidence of damage caused by industrial pollution has contributed to the need to recover a common culture and establish a sense of continuity with "truly Venetian traditions." Based on ethnographic and archival data, this in-depth study of the Venetian island of Burano shows how its inhabitants develop their sense of a distinct identity on the basis of their notions of gender, honor and kinship relations, their common memories, their knowledge and love of their environment and their special skills in fishing and lace making.